Home » Milkbone Biscuits Large 10 Lb. 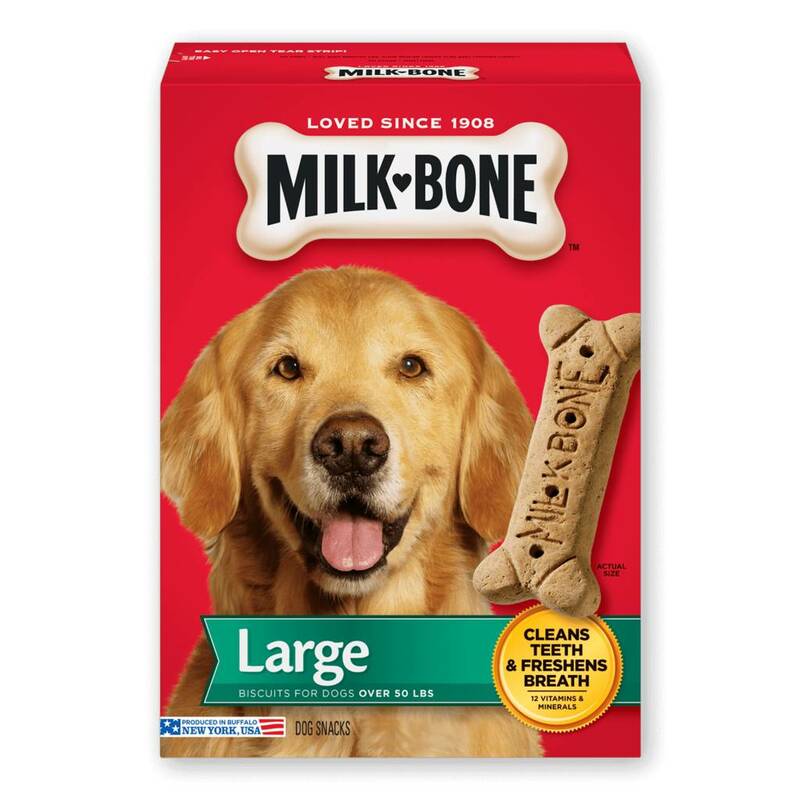 Milkbone Biscuits Large 10 Lb. Prepared with care by the makers of Milk-Bone® dog snacks, these tasty treats will give your dog the simple, genuine joy that your dog gives you every day. Available in three sizes: Small, Medium, and Large. Wheat Flour, Meat and Bone Meal, Wheat Bran, Milk, Beef Fat (preserved with BHA), Salt, Natural Flavor, Dicalcium Phosphate, Wheat Germ, Calcium Carbonate, Brewer's Dried Yeast, Malted Barley Flour, Sodium Metabisulfite (used as a preservative), Choline Chloride, Minerals (Ferrous Sulfate, Zinc Oxide, Manganous Oxide, Copper Sulfate, Calcium Iodate, Sodium Selenite), Vitamins (Vitamin E Supplement, Vitamin A Supplement, Niacin Supplement, D-Calcium Pantothenate, Riboflavin Supplement, Pyridoxine Hydrochloride, Vitamin D3 Supplement, Folic Acid, Biotin, Vitamin B12 Supplement), BHA (Used as a Preservative).